1. solar energy, no need any other power sources. 2. Material is stainless stell and high quality aviation aluminum alloy. 3. Move as a cycle around the support pole. 4. Attached independent components and user manual. you can assemble them by yourselve. If you want to make custom Solar Energy Airplane with your logo,slogan,telephone,website,email , please send us your design or give us instructions about your imprint.We'll send a free virtual art proof for your approval,you can ask a real sample with logo before production too. 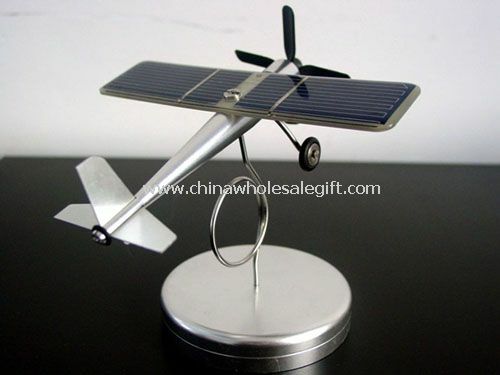 Our Solar Energy Airplane is popular as promotional,advertising, business,corporate gifts.